As part of our Engaging Communities IMLS Focus convening, held at the Los Angeles Public Library in June, we worked deliberately to surface strategies for the field and give special emphasis to agency priorities, including helping underserved communities, fostering civic engagement, and making libraries accessible to all. What are your strategies for assessing and responding to needs? How do you cultivate and strengthen partnerships? How can local projects and programs inform the rest of the profession? The day spotlighted federal partners working with immigrants and adult learners on topics of workforce development and financial literacy among others. The agenda also highlighted early learning partners including the Campaign for Grade-Level Reading, First Book, and the BUILD Initiative. In recognition of the 25th anniversary of the Americans with Disabilities Act (ADA), we featured a session on accessibility and a demonstration of assistive technology from the Braille Institute Library Services. We also included many perspectives from our largest program, Grants to States, and emphasized the state library’s role throughout the day’s proceedings. 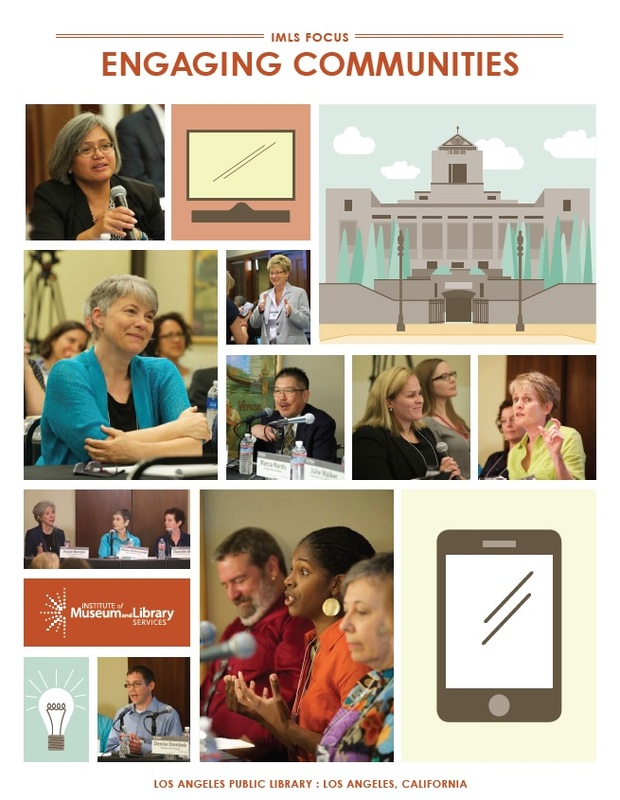 By showcasing inspiring work from a range of IMLS-funded programs, the Engaging Communities report offers insight on how libraries and their partners can develop community-driven projects. Panelists addressed such issues as assessing needs, building capacity, forming partnerships, and communicating, evaluating, and sustaining outcomes. Discussions also tackled issues of scale, return on investment, and “failures.” IMLS program officers know that successful project designs depend on these elements, and we appreciate our grantees’ willingness to share their experiences. We hope this summary report will help inform the field’s collective understanding and provide inspiration for future programs that serve diverse needs.